Home/How To Select The Right Internal Gear Pump? The application will dictate how a rotary gear pump is selected and designed. The better gear pumps will be highly configurable with numerous options to cater for the application. Most rotary gear pump manufacturers have a medium duty and heavy duty pump line to cater for a wide variety of applications. Medium duty gear pumps will generally only have one bearing, and be suitable for lower pressures and more intermittent duties. The heavy duty gear pumps to be used on higher pressure applications and/or continuous duties. The heavy duty pumps will generally have a plain bearing behind the rotor and a ball bearing supporting the shaft. Internal gear pumps can deliver flows in excess of 2000 litres per minute, but several factors need to be considered. Pumps need to have enough atmospheric pressure to support the desired flow. Good manufacturers will have accurate information on the Net Inlet Pressure Required. Other factors also need to be considered, such as shear sensitivity, viscosity and abrasiveness, all needing levels of speed reduction. Rotary gear pumps will have certain pressure ratings for heavy duty vs medium duty pumps and will probably have different pressure ratings for pumps with different construction materials. Better gear pumps will have pressure ratings to 300psi [20.7 bar], but this will be for lubricating fluids. Fluids with low viscosities will reduce the maximum pressure a pump can produce. The pressure will also affect seal selection. Some mechanical seals are only rated to 11 bar, whereas some cartridge seals are rated up to 40 bar. Most packing options will be rated to the pump’s maximum, but some special purpose packing may not, so this needs to be checked. O-rings should also be considered [if available] instead of gaskets to minimise the chances of leaking. The viscosity of a fluid effects many aspects of a rotary gear pump selection. For low viscosities, bronze bushings should not be used. For high viscosities, the speed of the pumps must slow down, often requiring reduction gearboxes. Some manufacturers [like Gorman-Rupp] have designed pumps with larger in-feed areas which enables them to support higher flows of viscous fluids while running at pole speeds, needing gearboxes only when viscosities are very high. When viscosities get high, manufacturers will often recommend changing cast iron rotors to steel ones, which will have an effect on price. Other manufacturers have standardised on ductile iron rotors, which means that these pumps can transition into higher viscosity fluids with standard [less expensive] rotor material. The viscosity also effects seal selection. For intermediate viscosities [up to 5000 cSt], positive drive mechanical seals can be used, but beyond this, double seals [up to 10,000 cSt], triple lip seals [up to 440,000 cSt] or packing [up to 440,000 cSt] need to be selected. Gear pumps are often asked to pump corrosive fluids, and most manufacturers will have a stainless steel construction option. But sealing materials are also important. 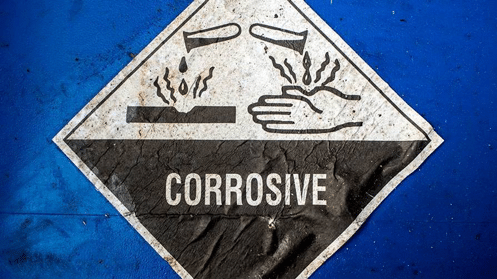 Materials such as Viton®, Teflon®, Chemraz® and Kalrez® are useful materials to resist corrosion. O-ring and gasket material also needs consideration. Rotary gear pumps can be effectively applied to abrasive fluids. Some manufacturers have a special pump range to cater for this, inclusive of hardened internal metal components and needle bearings instead of plain ones. But there are other considerations depending on the abrasiveness of the application. Idler pins can be supplied in tungsten, bushings can be tungsten carbide coated or produced in silicon carbide. Mechanical seals should also have hard faces [such as silicon carbide]. Pumping fluids at high temperatures is quite possible with an internal gear pump, provided the manufacturer has the appropriate options. The internal gears will more than likely need to be trimmed to compensate for expansion, but other components in the pump will need to be upgraded. The bushings could be upgraded to “High Temperature Carbon Graphite”, or “High Temperature Silicon Carbide”, with a “High Temperature Idler Pin, which would be suitable for temperatures up to 360oC. Seals are also extremely important, and materials like Teflon for o-rings and high temperature graphoil or chemraz® need to be considered.